I see you closed the PR so is this dead for now? I see a comment that it's "already fixed". If so, is it in the latest Kodi nightlies? (2018-07-27, 09:48)Hitcher Wrote: I see you closed the PR so is this dead for now? No, just delayed until I can figure somethings out or someone else decides to PR it. (2018-07-27, 16:17)hdmkv Wrote: I see a comment that it's "already fixed". If so, is it in the latest Kodi nightlies? That's referring to something else, not the PR specifically. I opened a PR today, hopefully i did nothing wrong. It is fixed! The fix should be in the next nightly. On your home screen, just scroll down. At the bottom you will see something like "Customize Channels", click on it. 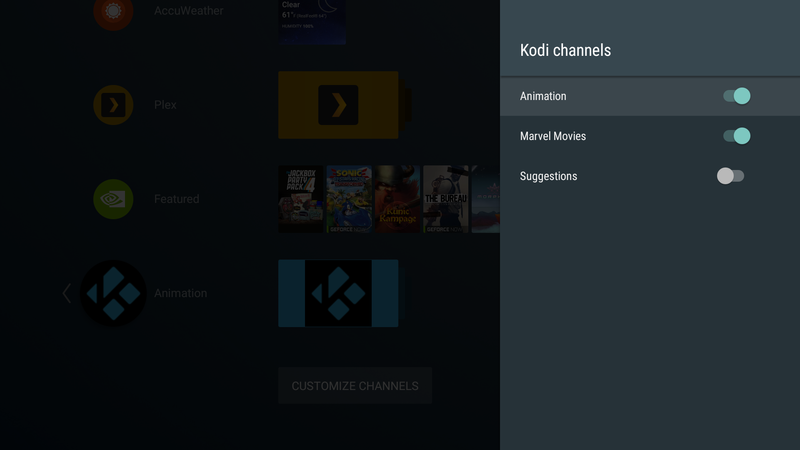 Then you see all apps, which support channels and you can dis-/enable the channels individually for the apps. 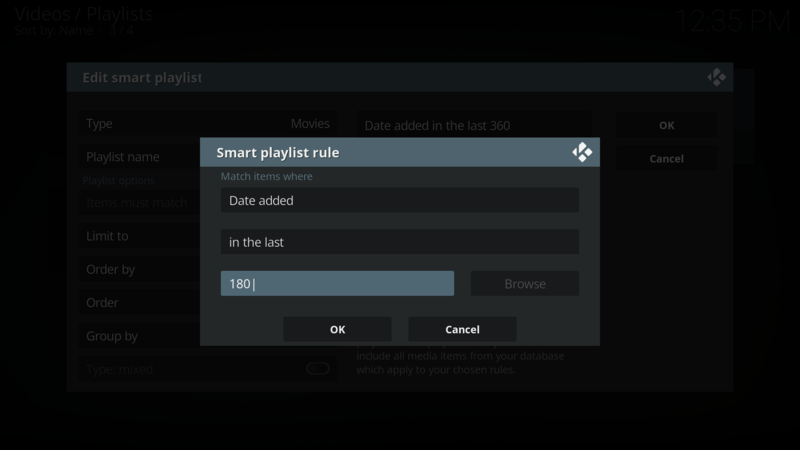 There you find Kodi and all the channels/smart playlists. EDIT: Needed a restart but got it working. (2018-06-07, 17:39)Tinwarble Wrote: Creating a Recently Added movies channel. Question about the Recently Added Playlist. 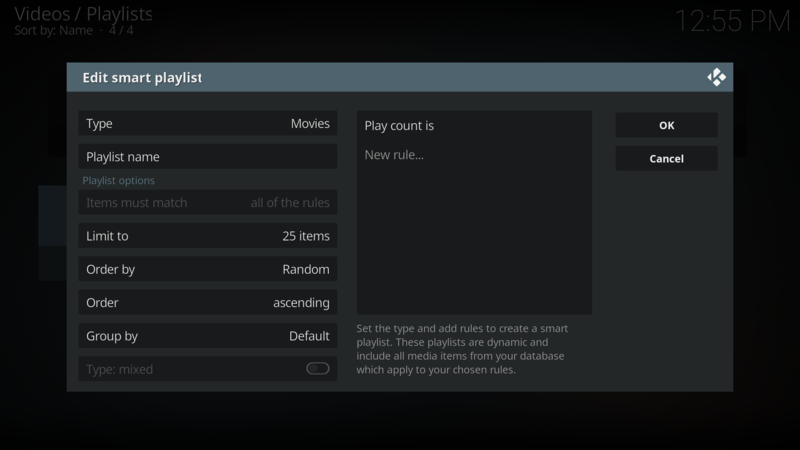 When I look at the playlist in Kodi, the "order by"-rule is followed. But the order in the channel is diffrent. 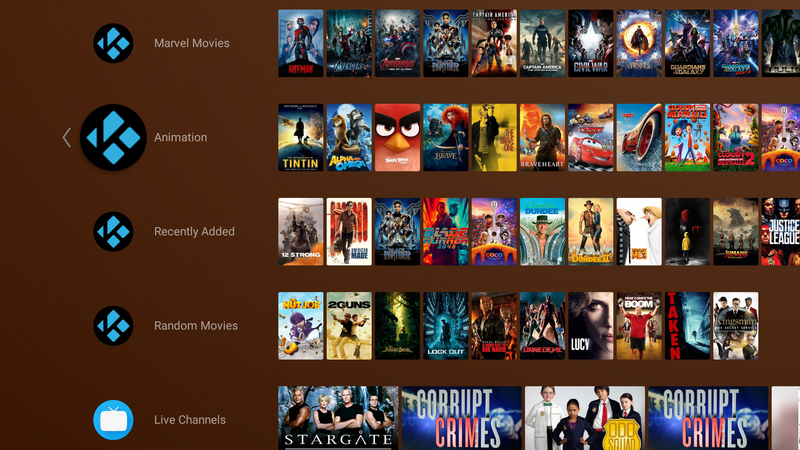 For example, i added a new movie yesterday, in Kodi it is the first entry, but it is the fourth in the channel. Does someone have the same experience. I'm running the Kodi 18 Alpha 3, but also same bug in Beta 1 and the latest Shield version 7.0.2. Thread is so helpful thank you! great tutorial! Hello, I'm very new with my Nvidia Shield, but long years experienced with Kodi. Since long time, I can only create intellegent playlists. 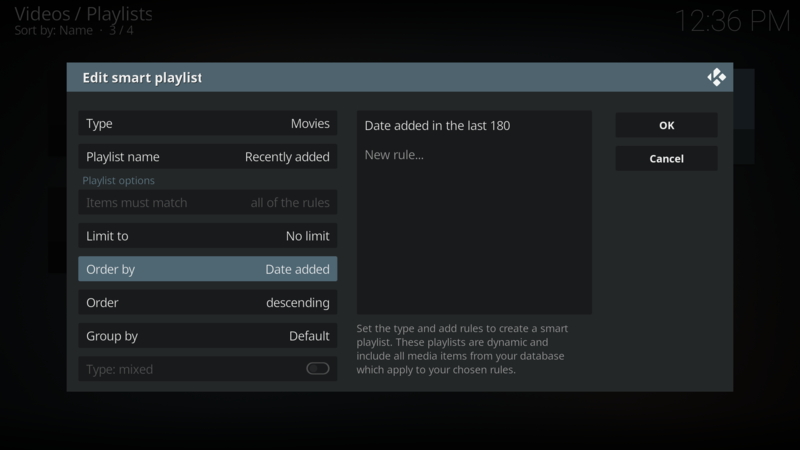 The function generate smart list I never saw since long time in Kodi. I checked different skins and can't find generate smart list. smartlist is used for channels? I use the newest Kodi nightly build. I see all my playlist for adding channels in the Shield, BUT...they are all shown as empty, even they work pretty good in Kodi. I rebootet the Shield several times, without any effect...the playlists are shown as empty. (2018-11-24, 01:37)Bladerunner1962 Wrote: Hello, I'm very new with my Nvidia Shield, but long years experienced with Kodi. 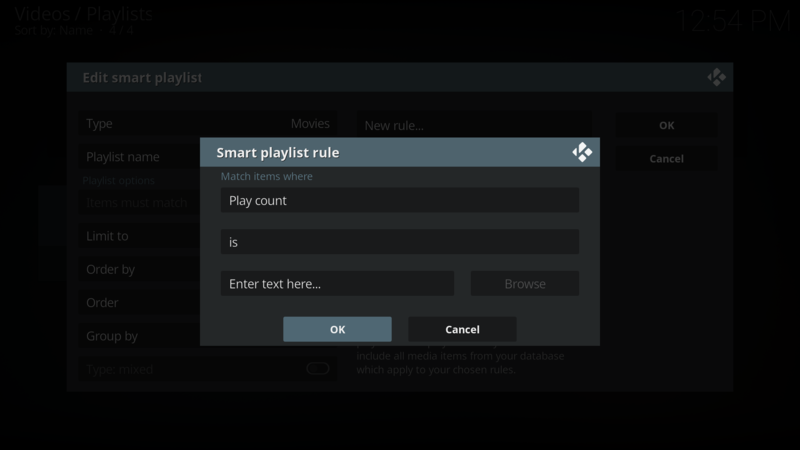 Videos > Playlists > New smart playlist.